Robots have been making quite the stir in the news lately. And no, that’s not a delicious pun on the robotic bartender – aka. the Makr Shakr, it’s just a frank appraisal of the leap and bounds by which robots and their integration to society is proceeding. Between developing machines that can imitate human movements, human facial expressions, and carry out specialized tasks, it appears that we may actually be on the verge on a world where robots are a common feature. Just a few days ago, DARPA and Boston Dynamics unveiled their most anthropomorphic robot to date – the Atlas Robot. And this came less than a month after the Global Future 2045 conference took place in Moscow, where Geminoid robot clones – so realistic that they were virtually indistinguishable from their human counterparts – were put on display. And yet, it seems that the Singularitarians and roboticists of the world were not yet finished for the season. 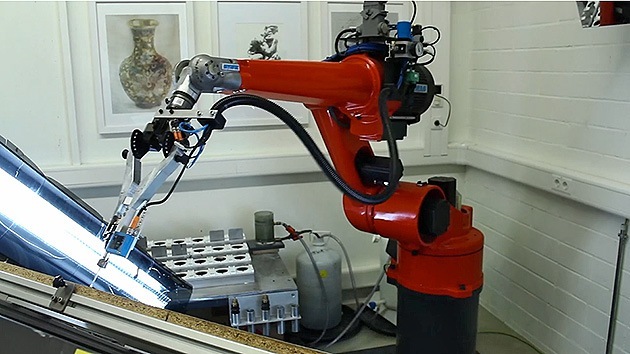 Now it appears that there is a robotic arm that is capable of performing another highly-specialized task: painting. 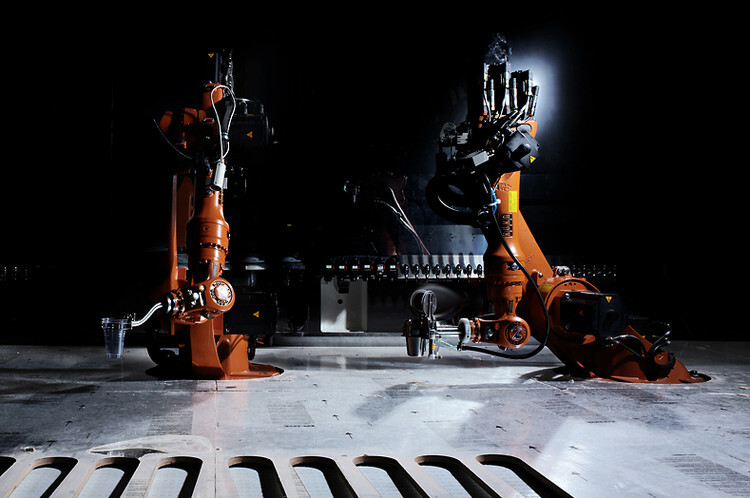 Created by a team at the University of Konstanz in Germany, the E-David is capable of performing the artistic variety of painting, not the kind which involves spraying enamel onto car frames – something robots have been doing for decades, much to the chagrin of auto workers. Granted, it is not capable of “artistic inspiration”, but instead takes a picture of what it wants to copy and takes it from there. What’s more, it e-David doesn’t require programming directions that tell it how to paint, relying instead on a concept known as “visual optimization” to make its own decisions. After each brush stroke, e-David takes a picture, and its software calculates where the next stroke needs to fall, what colors are needed, and whether it needs to be lighter or darker, etc. We equipped a standard robot with all necessary means for painting. Five different brushes can be used, color can be selected from a repository with 24 colors, brushes can be cleaned, and colors can be distributed precisely on the canvas. The machine watches itself while painting and decides independently where to add new strokes. This way, paintings are created that are not completely defined by the programmer, but are the result of a visual optimization process. While E-David isn’t the first robot capable of painting, it is in a class by itself when it comes to the quality of the images it creates. 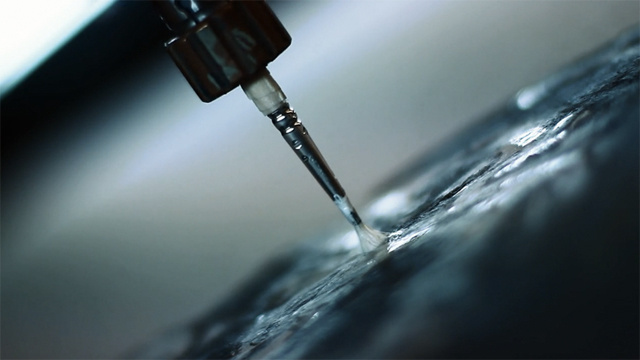 Much like the supercomputer Iamus that composed classical music which was performed by the London Symphony Orchestra and recorded on an album, it is impossible to tell when looking at the finished product if the paintings were crafted by hand or machine. An interesting twist on the Turing Test, I think! The Future is Here: Bionic Eye Approved by FDA! stop spamming me hackedgames. I’m not buying what you’re selling!